wb: 2720 mm 4 cyl. 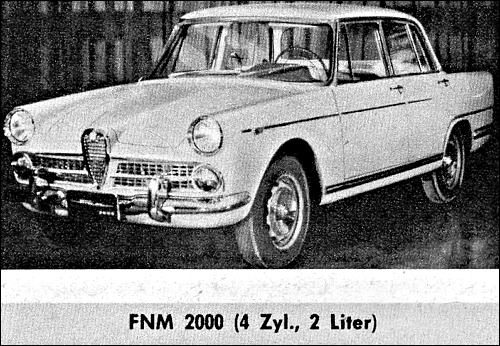 The Fabrica Nacional de Motores, abbreviated FNM, continues to build the former Alfa Romeo 2000 in Rio de Janeiro. 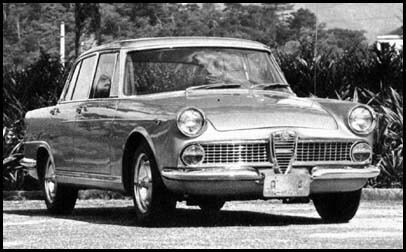 2000 TI-MB (Turismo Internazional Modelo Brasileiro) boasting usefully more power and features a flat bonnet with a lower-mounted grille and a divided front bumper to accommodate the lower centerpiece.